Doug's recent vid got me thinking... 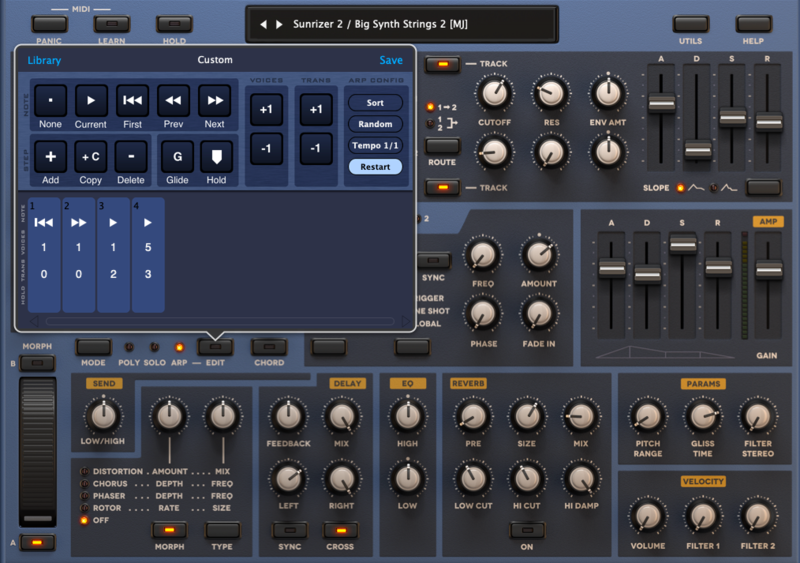 Anyone use Sunrizer VST version? Anyhoo, been messing with it a bunch this morning, and I really like it. As Doug points out in his video, I can't believe how CPU friendly it is! I'd been resigned to use Kaspar as my multi-timbral go to (I'd love to love Layr, but that interface on a smaller screen/non-pro ipad is just too much of an eye-strain). But I can run all the Sunrizer's I need I think. One of the things I REALLY like about it is the way he implemented the modwheel/morph. SOOO much more intuitive than assigning mod targets to a mod wheel. It's much more WYHIWYG modding. It's also got a deceptivly useful/powerful arp... May allow me to bypass StepPolyArp unit and simplify things even more. This then got me thinking that if I'm gonna spend time with Sunrizer on my iPad, maybe I should think about getting the VST. Anyone here use the VST version? is it 1:1 with iOS, or does it sound better on a VST having more CPU behind it? I'd say it sounds the same as ios depends on the audio signal path.